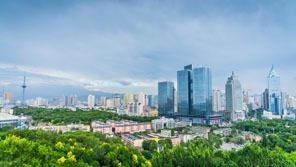 Urumqi, capital of Xinjiang Uyghur Autonomous Region, is the largest city in Western China. It also holds the record for the remotest major city in the world 2,500 km (1,400 mi) from the nearest sea. It is a booming modern industrial city, its spectacular growth fueled by mining and oil revenues. Although located on the Silk Road, it has only really emerged in the last 200 years. The hub of an exotic and vast frontier territory. Beautiful natural scenery and intriguing ancient remains. One of the deepest and hottest basins on earth at Turpan. Urumqi is a good place to start a tour of Xinjiang. The vast territory of Xinjiang (bigger than Alaska) is the eastern frontier of Central Asia, but only about 30 million people live in it. About a tenth of the people, about three million, live in Urumqi. Some of the best scenery, hiking, and ancient sites in China are in Xinjiang, and Urumqi is the ideal place to start a tour of the region. It has one of China’s big international airports and is Xinjiang&apos;s transportation hub. 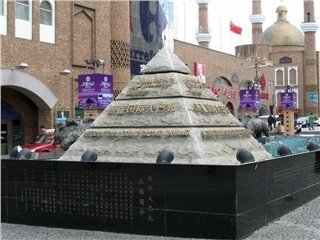 Urumqi is a base for touring the area, and the local highlights include the Uyghur Regional Museum with ancient Caucasian artifacts and mummies, the International Bazaar as an interesting place to shop, and the nearby Tianshan Mountains that have beautiful, forested mountains, lakes, and glaciers like the Alps. If you can travel all over this great region, you can see ancient sites and natural beauty unlike the rest of China. The deserts are bigger, the basins are deeper, and the mountains are higher and emptier than anywhere except Tibet. 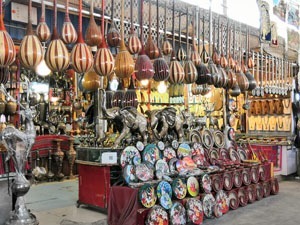 The International Bazaar, also called the Big Bazaar or Erdaoqiao Market, is especially lively on summer evenings, and you can see a lot of local and regional products for sale. A lot of uniformed security guards and police are stationed around it. Next to the bazaar is Xinjiang Silk Road Museum at 160 Shengli Road. 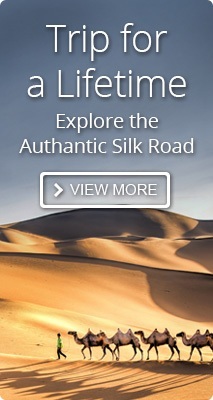 You can learn about the ancient Silk Road and about the region and its history. The Xinjiang Uighur Regional Museum has Caucasian mummies that date from about 2,000 BC to 400 AD. They are thought be part of the biggest archeological discoveries of the past hundred years because they shed new light on the history of Eurasia. 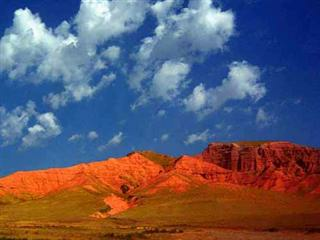 Turpan is only about three hours from Urumqi. 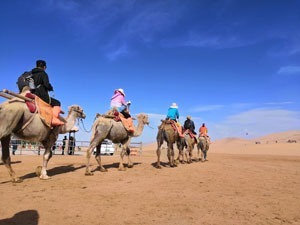 Turpan is a great travel site near an extremely arid and hot desert. It is a very lush irrigated area. Around the city of Turpan are the ruins of Jiaohe, the Flaming Mountains, named in the ancient Chinese fairytale "Journey to the West" (or Monkey King), the Astana Burial Grounds, and the Bezeklik Thousand Buddha caves, which are mostly in ruins. Water flows via underground viaducts that are thought of as one of the world’s biggest ancient construction projects. Before modern technology, they were what made the otherwise arid land of Turpan fertile and livable. 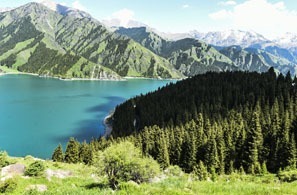 About two and a half hours east of Urumqi is Heavenly Lake near Bogda Mountain. About two hours south is South Pastures, where you can perhaps rent a yurt to stay the night. A little further south in the range are higher peaks over 4,200 meters or 14,000 feet and glaciers. The natural scenery and hiking areas near Urumqi include Heavenly Lake (天池) that is east of Urumqi on Bogda Mountain at an elevation of about 2,000 meters or about 6,500 feet. The beautiful highland lake is flanked by rugged pines and cypresses and has clear water that reflects the surrounding mountains. You can hike and camp in the valley. For an extended hike, you can hike up Bogda Peak through forests and meadows. You can hike further up and see glaciers. For some softer hiking and lowland scenery, there is a grass covered mountain area called South Pasture about two hours south of Urumqi. Kashgar is a Silk Road city on the far western border next the Himalayan ranges. Kashgar is between 23 and 33 hours away by train. 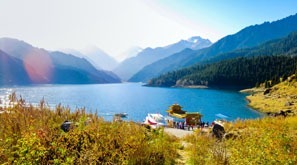 Enjoy the Beautiful natural scenery of Heavenly Lake and ease your mind here. Xinjiang has a tragic and interesting history, going through lots of changes of rule since the time of the Han Dynasty (206 BC - 220 AD). A Silk Road route went through the city. The area around Urumqi has a history of interaction and conflicts of many peoples. Archeological evidence, like the mummies found in the Xiaohe Tombs near the far western border of Xinjiang and in other places, show that 3,000 or 4,000 years ago Caucasians lived in the area. Since no Mongoloid mummies or Mongoloid people’s artifacts have been found that date before 1,000 BC, this is evidence that the original inhabitants of the area were Caucasians. It was thought previously that Caucasians mainly lived in Europe. DNA testing on certain mummies showed that they were related to Scandinavians, and their woolen clothing was found to be similar in make and style to clothing from the same period in Europe. The clothing and artifacts that have been studied in the last few years show that their technology was more advanced than thought possible for the region at that time. So, in the last few years, historians have had to rewrite the history of Eurasia. It is obvious that Central Asia was linked culturally to Europe. 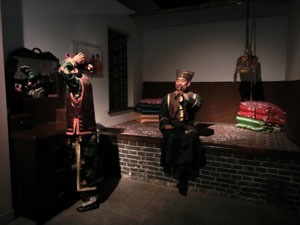 Some mummies and their artifacts can be seen in the Xinjiang Uyghur Regional Museum. Perhaps it was these people who supplied jade to the Shang Dynasty (1766–1122 BC), since the jade found in the Shang Dynasty tombs was known to be from an area of Xinjiang near Tibet. When Silk Road trade started to flourish between the Han Dynasty (206 BC–220 AD) and the West, Urumqi was a trading town and garrisoned by Han troops. It was an outpost far west of the Great Wall and the Gansu Corridor that the Han Empire controlled. Caucasian Tocharians built Buddhist temples and cities in Turpan and along the Silk Road, and they helped to convert China to Buddhism. Urumqi Diwopu International Airport is about 20 kilometers north of the center of the city. By train, Beijing and Shanghai are about 43 hours away. Kashgar is about 24 or 30 hours away by rail. Xinjiang is miserably cold in the winter. During the hottest summer months, July and August, the temperature often goes over 32 degrees Celsius or 90 degrees Fahrenheit, but the dry climate makes the weather comfortable. In the evenings, the weather is perfect or slightly cool. Summer is the best season to go to the mountains. For visiting lowland areas, late spring and fall are OK. A lot of fresh fruit and vegetables are harvested in the autumn. For more see Urumqi Weather. 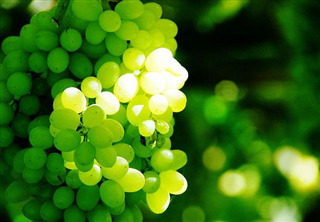 Uyghurs like dried fruits and nuts and Xinjiang is rich in grape. Uyghur food is generally like Lanzhou-style food (lots of wheat products, including hand-pulled noodles), but uses fresher ingredients. They also eat more diary products. Uyghurs like dried fruits and nuts, and a typical breakfast might be bread and tea with yoghurt, almonds, olives, honey and raisins. All over China, Uyghurs are known for their big nutty fruitcakes that taste really good if they are well made. If you are interested in visiting Urumqi, please see our Urumqi tours below for inspiration. Our tours can be customized. Or you can just tell us your interests and requirements, we will help you create your own tour.